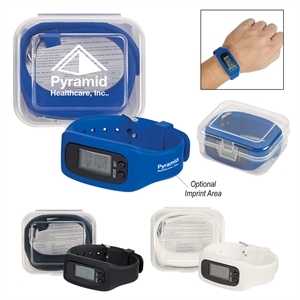 Our custom printed promotional pedometers are fantastic products for your customers to keep them running and tracking their stats. It is perfect for events that are specific for health related businesses and doctors as well as fitness clubs. 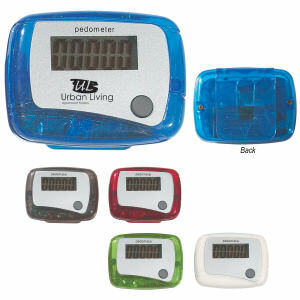 These pedometers come in many shapes and sizes. 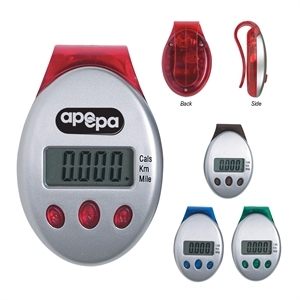 You may order customized pedometers that feature energy saving auto shut-off and idle mode or a jewel pedometer that comes with a stylish clear casing and top-view LCD display. Also purchase a promotional earth pedometer that shows a unique visual of the earth and looks great with a white pad print imprint. Show off your style with the running man pedometer that comes in a fun attractive casing. Personalize any of our various styles with your company name and logo, and soon your marketing campaign will be off and running!